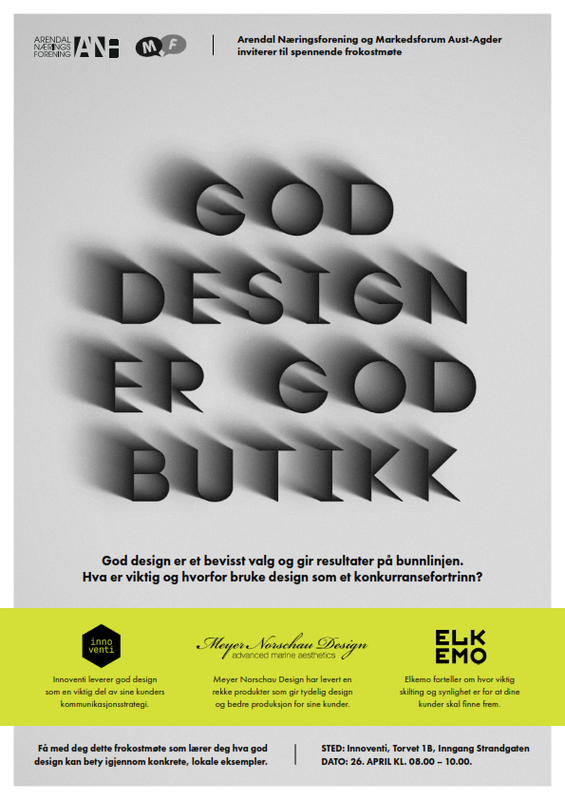 Elkemo, along with Innoventi and Meyer Norschau Design will hold a breakfast talk this coming Tuesday 26 April about how 'Good Design = Good Business'. Elke Tunold will focus on wayfinding and the importance of moving people from A to B with the use of considered and integrated signage solutions. This informative event is organised by Arendal Næringsforening and Markedsforum Aust-Agder.